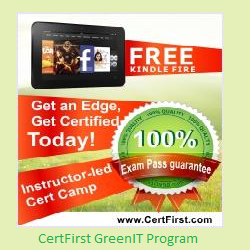 CertFirst offers special 10% discount to Government organizations, Not for Profit and as well as to qualified Educational Institutes. Special discounts are also available to all our preferred clients, please check with your Account Manager at CertFirst to see if your company is listed as a Preferred Client List with us. Here is the partial list of our preferred clients who can save 10% on our listed price. This offer can not be combines with any other discounts or specials such as “Early Bird”. Early Bird Special: This offer is only valid for the first five candidates to register for any selected “Early Bird” Special session. Special includes Kindle Fires, Mini iPADS, Tablets and for some programs candidate may qualify for up to $500 Gift Certificate of their choice. 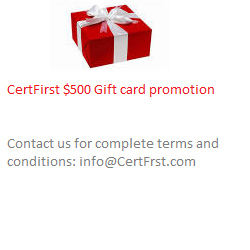 If candidate don’t want the gift certificate they can use that toward additional discount or get a FREE Exam Voucher. All candidates must register at-least 4-6 weeks in advance based on the program in order to qualify for the special. Terms and Conditions Apply. Offers can not be combined. CertFirst reserves the right or cancel the promotion based on availability and registration terms.